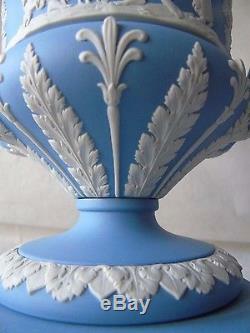 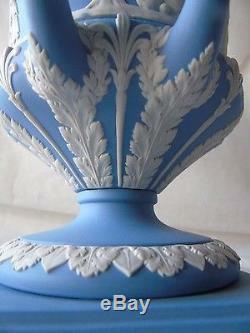 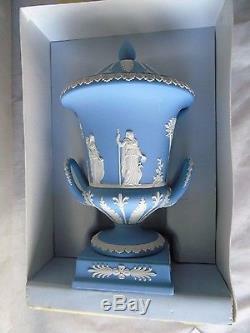 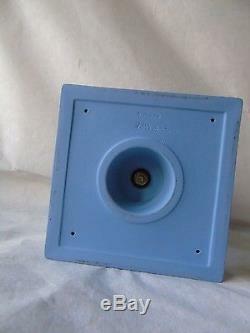 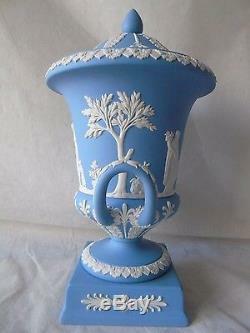 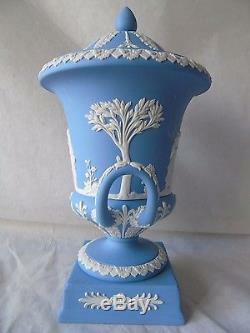 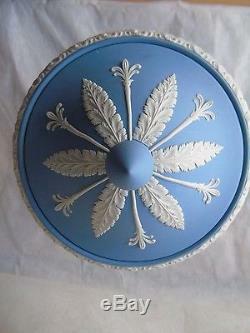 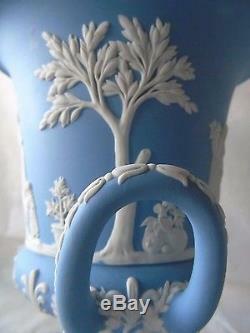 Boxed Large Wedgwood White on Pale Blue Jasperware Campana Urn Vase & Cover 12. 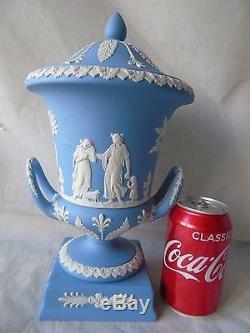 There is ONE (1) large vase and matching cover in this sale Featuring in relief Offering to Peace and Maternal Affection Campana Shape, standing on square pedestal base with classical sprig and wheat decorated body and cover with twin handles This item is in excellent condition with no chip crack repair or crazing It measures (30cm high to finial x 17cm wide on rim) Weight unpacked: 2.1kg With impressed marks and 1st quality. 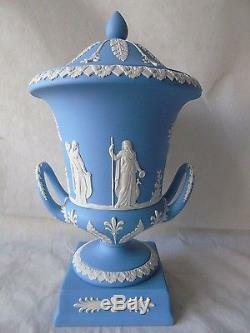 The item "Boxed Large Wedgwood White on Pale Blue Jasperware Campana Urn Vase & Cover 12" is in sale since Monday, February 13, 2017. 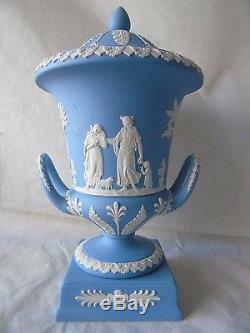 This item is in the category "Pottery, Porcelain & Glass\Porcelain/China\Wedgwood\Decorative/Ornamental". 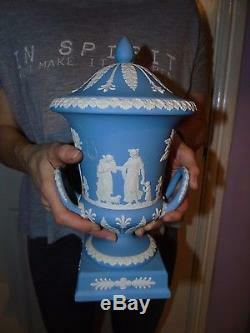 The seller is "gabisattic" and is located in Royal Leamington Spa.